Today, bread was baked. 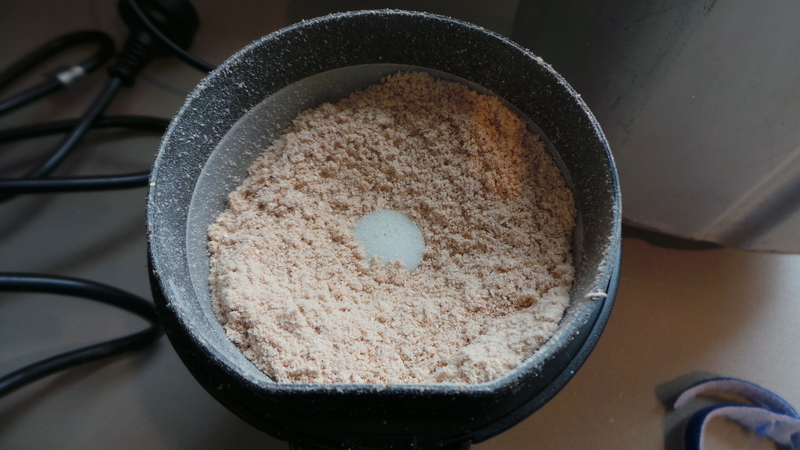 It was enriched with home-ground flaxseed and some steel cut oat groats that I want to use up. 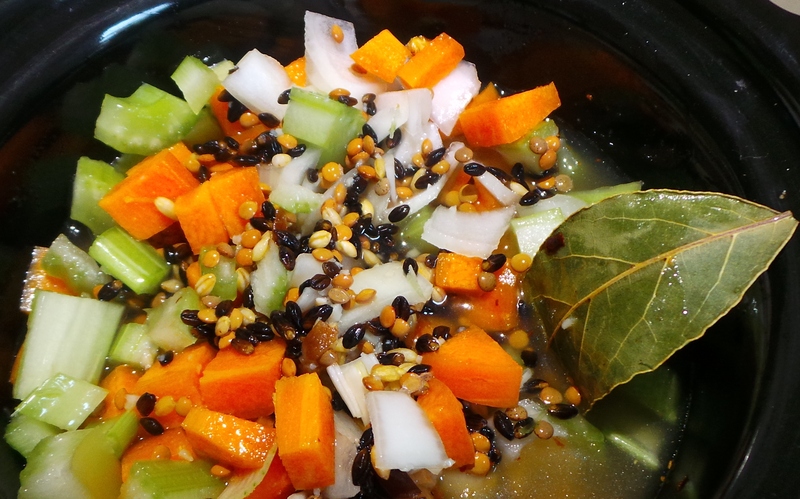 Then the smallest slow cooker was filled with the makings of a lentil and barley hotpot with a slight variation. The Boy isn’t keen on the texture of the dried shiitake mushrooms that I like to add to it, so this time I thought I’d do something different. 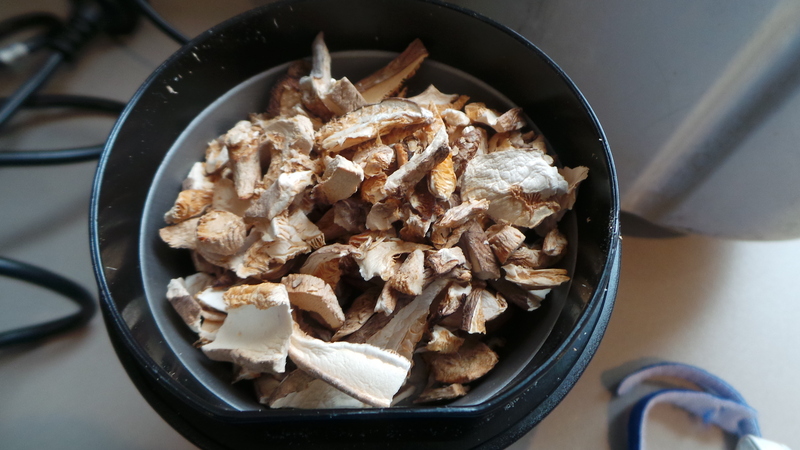 I piled the dried mushrooms into the little electric coffee grinder- that I use for grinding everything except coffee – and pulverised them. Then I added the mushroom powder to the chicken stock and continued as per normal. This way I got the mushroomy aroma that I adore and he didn’t have to deal with sensory issues. This is what is known as a win/win. Some of yesterday’s Tuscan Kale bonanza was also added to the pot. We had it for dinner served over steamed basmati rice. But before that we reduced a heaping pile of killer rose debris to a much smaller, smouldering pile of ash and charcoal. It was very satisfying. However, it caused me to reflect on how skills are being lost – especially after three abortive attempts to get the pyre lit. My mother used to woman the incinerator at our house (before the advent of recycling bins) and I regaled The Boy with tales of yesteryear when everyone’s Sunday afternoon usually included one or another neighbour’s smoke from ‘burning off’ household waste of some kind. Usually blowing directly onto someone’s freshly laundered sheets. I now smell of wood smoke. The cats are viewing me with suspicion. We followed this caveman-like feat with some very civilised Loaded Hot Potato Chips and collapsed in front of the telly. I decided (in my deranged exhaustion) that I wanted to try something I’d never done before for dessert. I decided this about 10 minutes before I was going to serve dinner. I’m an idiot. Anyway, I spent about 20 minutes searching for a recipe in my book collection and then asked Mr Google. 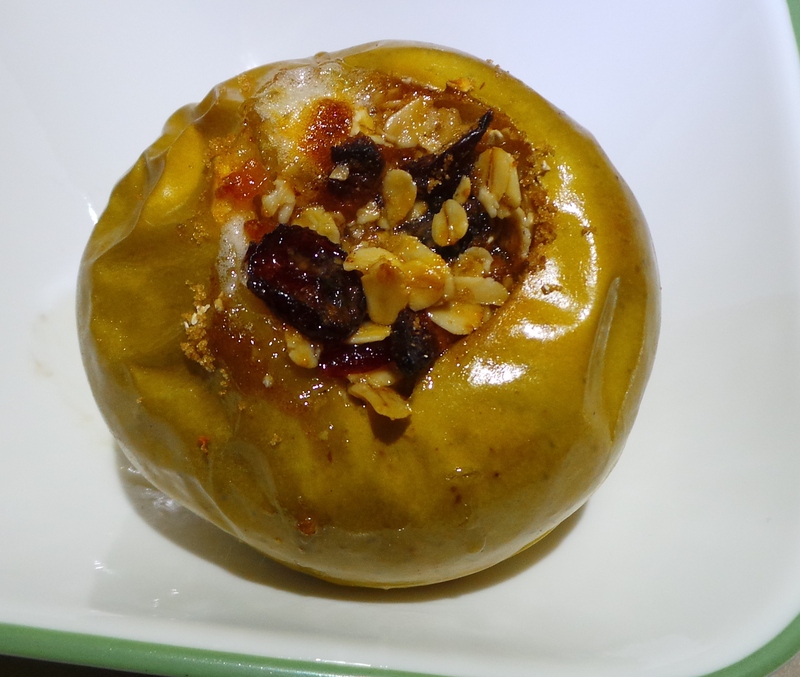 For dessert I made some Baked Stuffed Apples. I was too tired to eat them. 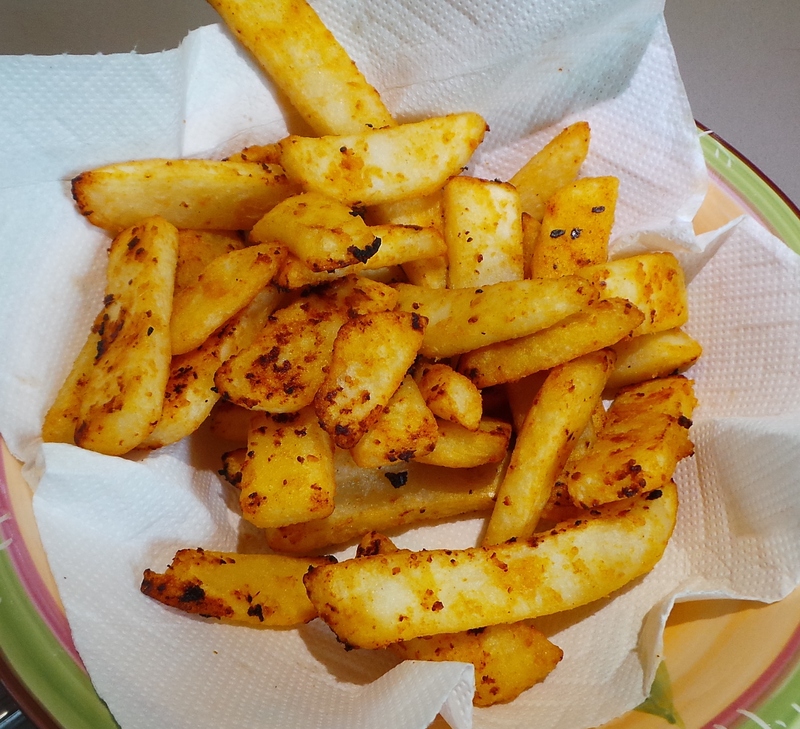 It gives a nice little flavour boost – also good for gravies.